Heather Dessinger 144 Comments This post contains affiliate links. I Switched Toothpaste over avocados. At $3 a pop, it’s time to get creative with my budget if I’m going to keep my kids reveling in their creamy green goodness. Our homemade deodorant recipe works better than the “natural” stuff and costs pennies on the dollar, so I recently decided to tackle toothpaste (actually, tooth SUDS) and tooth brightener, too! Why tooth suds, you ask? Good question! By now you probably already know that prior to 1938 fluoride was exclusively sold as rat poison and has since been linked to lowered IQ, weakened bones, thyroid suppression, lowered metabolic function, and Alzheimers. 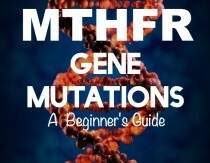 (source) All experts agree that this stuff is not for babies – most of us would go further and say it’s not for anyone! Unfortunately, most commercial toothpaste manufacturers – even many of the “natural” ones – contain fluoride AND sodium lauryl sulfate (a foaming agent). The sodium lauryl sulfate found in our soaps is exactly the same as you would find in a car wash or even a garage, where it is used to degrease car engines. I’m sure there are some toothpastes out there that don’t contain toxic ingredients, but actually – toothpaste itself can be a problem! The use of certain toothpastes (especially those with flouride) could create harmful effects and even promote cavities. Glycerin is added to toothpaste to give it its “pasty” consistency. Supposedly, glycerin requires 27 rinses to remove from the teeth. And this could create a barrier on the teeth that would prevent teeth from getting harder and stronger. My toddler loves the flavor of this recipe so much he tries to eat it. I don’t let him, but it is pretty good! It’s also perfect for traveling because it doesn’t leak. 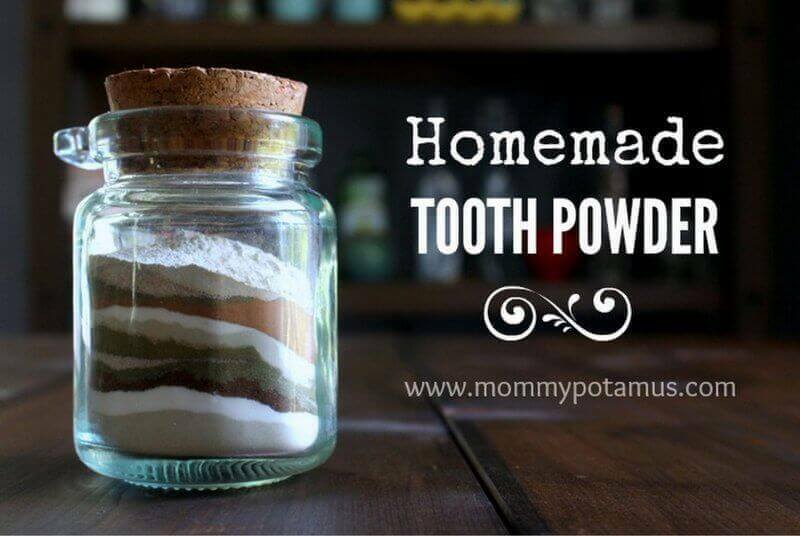 Click here for my homemade tooth powder recipe. This toothpaste scrub recipe was sent in by a reader (thanks Nicole!). I use it about once a week to keep stains from building up. Combine ingredients in a small bowl and mix them thoroughly until a smooth, thick paste forms. Dip your toothbrush into the paste and use as you would regular toothpaste. I know I look like I just ate a bunch of Cheetos, but you truly can whiten teeth naturally with turmeric. Pinky swear. 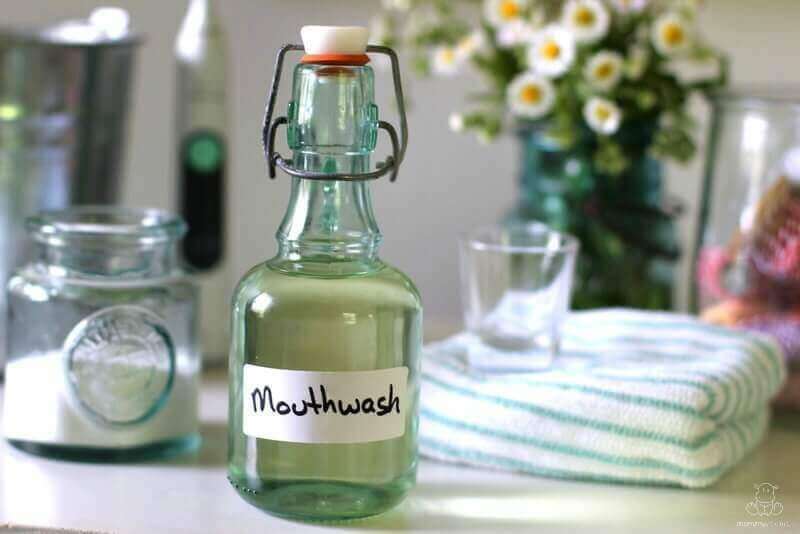 This homemade mouthwash recipe is easy to make and incorporates natural ingredients that support a healthy mouth. Ah, you just inspired another post, Whit! Thanks! So glad to be of service – I hope it is about why Whole Foods charges a million dollars more for the SAME avocados from Mexico that I can get at the local Kroger? One of the reasons Whole Foods charges more for produce is because they pay their employees a living wage and offer good benefits. Their mark up is not any more %-wise than normal retail stores( I know because my husband works for them ). Some of your other grocery store chains do not offer the same benefits to their employees and do not practice the same responsible, community oriented services they do either. So although I can’t afford to do all our shopping there, I certainly feel better when I can because I know what they do with it internally. If you want to purchase chemical free toothsoap, soap or deoderant instead of mixing it up yourself, the Maiden has some great products. I’ve been making a combo of these recipes, more or less, with baking soda, coconut oil (with ghee) some Dr. Bronners if it is around and a little flavoring… works wonderfully. We keep a little spoon in there to apply the toothpaste. Took a little getting used to, but now we love how it makes our mouths feel and the lack of weird aftertaste! Hey Jen! Would you mind sharing your recipe? I’m curious about the ghee! Are any of the recipes you posted safe for someone who is pregnant? Just curious b/c I’ve contacted some some of the natural tooth paste companies and they didn’t consider their products necessarily safe b/c of the essential oils (for a pregnant person that is). oops- how #2 is relevant to pregnancy is that these oils in their purest form can be very potent. a drop of peppermint oil on the foot is as potent as 28 cups of peppermint tea. So, something that may be great to ease tense muscles or reduce stress in small amounts, like any medicinal treatment, might do much, much scarier things in accidentally larger doses, like induce labor. There’s an oil that, with enough drops(60+) can actually induce a coma. While that can be handy for someone who suffers a horrible car accident and broke every bone in their body and simply needs time to heal and medically induced coma type medicine isn’t an option (or consideration) AND has a medically trained professional familiar with the use of the oils in a clinical setting (believe it or not there are classes taught on this, and people employed by some hospitals for this type of purpose, my local one is Robin Gayle Egbert, and she is employed by Sutter Medical Foundation in the Sacramento area facilities), it’s probably not so good to decide it needs to be your toothpaste flavor of the month and go a little extra crazy on the proportions. So yes, because they are also a super concentrated medicinal herb, before you choose your oil to add in, maybe by the Essential Oils Desk Reference and learn what all each oil can do for, to, and with your body. We’ve been using Uncle Harry’s tooth powder since it’s pretty inexpensive and a bottle lasts for quite a while. http://www.uncleharrys.com/store/product_info.php/products_id/544#!tab2 What do you think? Is the chalk an ok ingredient? The rest of the label looks pretty clean. The chalk is for the calcium, it’s to help re-mineralize your teeth. I always add some ground chalk (or aluminum free antacids if I’m desperate) to my toothpastes to help re-build the enamel. I am really interested in trying this, but the honey confuses me. Wouldn’t the sweet honey promote tooth decay? Raw (unheated) honey is actually antibacterial and is used in the toothsoap.com formula. If you are concerned, though, you can use stevia. The extract is highly refined and I don’t recommend it for consumption but I don’t think it would be a problem to brush with and spit out. Does that help? I have stevia growing in my garden, how do you think I could incorporate it into this recipe? Ok, you talked me into it. I’m going for it. Thanks! 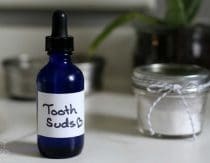 methanol, arsenic, ethanol, acetone, and others….. My kids & I have been using homemade toothpaste for years & now that we don’t expect toothpaste to be sweet we dont miss it!!! I add essential oil for flavoring & that is sufficient. Teeth are like sponges, full of little holes that absorb everything that goes in our mouths- say nothing of the membranes in our mouths that absorb things like mad! I know from experience how easily we absorb everything orally. I was on Fentanyl suckers many years ago & after tucking one into my cheek I was looped in under a minute. Really want to risk it in your mouth for just a little bit everyday? I don’t. Personal choice tho…. have you considered zylitol instead of stevia? It is good for you teeth and in a lot of the natural toothpastes. Ramiel Nagel, whose book I used to stop my daughter’s tooth decay, does not recommend xylitol (http://www.curetoothdecay.com/Tooth_Decay/xylitol_tooth_decay.htm). I have not done any research so I don’t claim to know much on this. But to me it makes sense that a “food” not found in nature (which is therefore by definition processed) could have some unintended side effects. Very cool. We add probiotics, cell salts and vitamin K into our homemade toothpastes! I have been using a combo of EP coconut oil (the one that does NOT smell like coconut) plus baking soda for both toothpaste and deodorant for several years. I don’t have a recipe, just mix a little of each in a 1/2 cup sized mason jar. It’s great bc one thing does both…but the flavor isn’t great so I doubt my kids would use it for toothpaste. Thanks for the recipe! I also have a fancy vibrating toothbrush that I can tell really helps clean well. My hygenist always says, “your teeth are as clean as most children’s” which I’m guessing is good. She doesn’t spend too long getting plaque off anyway. Haha! So happy to hear you liked the recipe, Hilary! Most experts say baking soda every day is too hard on tooth enamel – I’m not surprised you had a reaction! would love to try this! i’m fresh out of my flouride-free tom’s toothpaste so it’s a perfect time to make something new. where do you get the baby mild? Whole Foods. Sprouts probably has it, too. Thank you, thank you for posting this recipe! I’ve been wanting to try toothsoap, but for budgetary reasons we had decided to stick with the Trader Joe’s fluoride-free. Just mixed it up this morning using honey and peppermint oil, and it’s wonderful! We won’t be going back. Yay! Brushing with straight castille soap doesn’t bother me so I was kind of nervous about posting this (thinking that that maybe I’m not the best judge, haha!) So glad you liked it, Leah! Any way of keeping the coconut oil from solidifying, apart from keeping my house warmer? I have the same problem when I make mayonnaise with coconut oil and put it in the fridge. I have found, though, that mixing 50% olive oil keeps it liquid. That’s why I included olive oil in this mixture. Haven’t tried it in the winter season yet but I hope it works! 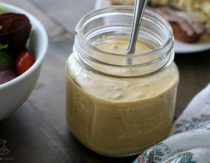 How do you make mayonnaise with olive/coconut oil? Great Article- but I would be wary of the baking soda recipe. My sister is a dental assistant and told me never to use baking soda as it removes the enamel from your teeth. I’m curious about using honey in a toothpaste….doesn’t that just add food that will break down into sugar on your teeth overnight?? Does anyone know what a person with extra sensitive teeth could do? Ever since I was a child and to this day I grind my teeth in my sleep. Before I was aware of it the grinding took off my enamel and you can never get that back. Now I wear a bite guard at night and the dentist has tried to adjust (occlusion) my bite but I still do it. I have had to use Sensodyne for years, otherwise I can’t eat without pain. I know it has fluoride and probably a ton of carcinogens but I don’t know how to go without it due to painful sensitivity. Any ideas? Not to mention, while we all know Ibuprofen isn’t GOOD for you, after reading some study came up with the opinion that 1 ibuprofen a day for 5 years equals a 50% increase in cancer risk, I’m even MORE all about natural. I don’t know if you had try out clove oil in your toothpaste recipe though, but here are some things your should know about it’s side effects (I just found out). Before you add anything beside baking soda powder and oil, make sure they are safe for your body, teeth and gum. FYI. Adding baking soda powder and oil and mix them together is safe, as long as they react completely with each other. Cause toothpaste’s basic ingredients are same as soap. Well, they’re both for cleaning, you know. Sorry, Aimee! Maybe a commercial brand would be better, though I confess we haven’t had a problem with either so I’m not sure I’m the best judge. We used to buy from http://www.toothsoap.com before we started making our own. I also have heard really good things about http://www.orawellness.com, but some kids are not fans because it’s not sweetened. Not a silly question at all! And yes, that is exactly what I do! We make ours but I use a slightly different recipe. 🙂 We love it! We’ve been using this for a couple weeks now and love it! We used sweet orange oil hoping to appeal to the kids and it worked. They don’t seem miss the old sweet stuff. I also find that my teeth feel cleaner for longer, I do miss the minty stuff though so I think I’ll have to make second batch with peppermint oil. Thanks for the recipe! Recipe I used has glycerin. Is it safe for teeth? It’s kinda sweet, so I wasn’t sure. I still use crest but I am stopping this weekend! Thanks for the recipe. I can’t wait to try it. Love hearing that, Kristine Winniford! Sweet orange sounds nice – maybe I will try adding some to my cinnamon version! Sara Creitz Rockarts – Glycerin isn’t toxic or anything, but it does coat the teeth kind of like wax which can prevent remineralization from foods like bone broth. Does that answer your question? 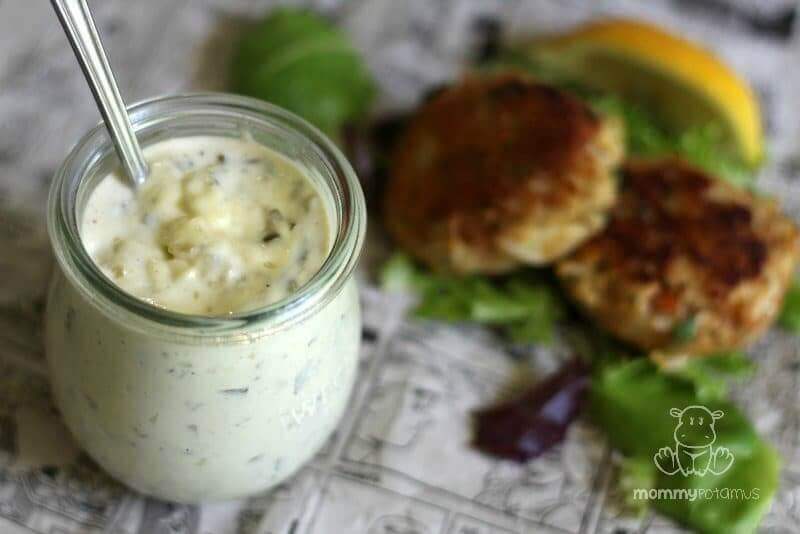 Jennifer Jones Knight – Well, this recipe is **very** different from Crest but I think you’ll like it! Yes. I guess I meant is it gonna *cause* cavities because it tastes sweet. I’ve been slowly implementing changes to our diet and lifestyle and this is the next step. Thanks for all the great info! We finally made this for the first time today. I’m so behind on “healthy” since baby was born 6 months ago. I have wanted to try this recipe, but hubby keeps buying toothpaste when we run out. Weird motivation….but our dog always chews up our tubes of toothpaste when my big girls leave it on the counter. Which makes our “expensive” toothpaste sooooo much more expensive. So I like this recipe for the glass bottle, if nothing else. I do think it tastes great! My girls aren’t sold on it yet (one try). I think it will grow on them though. I thought it would help to have them as assistants when I whipped up the recipe. BUT, they saw the soap and that was a turn off. Maybe I should have snuck that one in?!?!?! For a season, I used a homemade toothpaste of baking soda, coconut oil & peppermint oil, but I started getting sensitivities and always wondered if the baking soda did it. Still not sure and it may have had nothing to do with it, but I just figured one day that if the brushing alone does most of the work (or so I’ve heard) why not just add some tea tree oil & peppermint oil to my toothbrush (which I LOVE the taste of!). The tea tree oil is anti-everything-bad (faulty memory but I know it’s got a lot of amazing properties) so I know it’s great for my teeth, plus there is no glycerin to coat them and prevent re-enamelization. It seems to work great, and couldn’t cost less! Thank you for sharing this recipe! we’ve been going weeks upon weeks just brushing with coconut oil because we ran out of toothsoap and I refuse to use anything from the store :-). My husband and I LOVE this recipe and I can’t wait to try it with orange oil to see if my boys will happily use it! Awesome! So glad you like it, Erin! Thanks for your posts they really help for us new moms out there! I am really interested in avoiding the use of regular toothpaste but I live in Belgium so I am not sure I can find here Dr. Bronner’s Baby Mild so I was checking and it has already coconut oil and olive oil in it. So my question is why do you add more of these oils in the recipe? Also, would it work if I just make a simpler recipe out of olive oil, peppermint essential oil and honey? or not? Castille soap is saponified, which means that through the process of adding lye the olive and coconut oils change in molecular structure. Even if it’s not Dr. Bronners brand I’m guessing you’d have a pretty easy time finding it somewhere. As an update to the post, though, I recently learned that Dr. Bronners has a little glycerin in the formula. It’s a natural byproduct of saponification but for our purposes is not ideal (glycerin coats the teeth). I’m still using it, though, and looking for a brand in which they wash out the glycerin after making the soap. Have you found an alternative yet? I just made this and then read this comment and I am concerned about the glycerin. I am trying to rebuild my tooth enamel. Should I still use this? I just made my first batch and I really don’t want to toss it! My two year old has ECC and I wanted to try brushing with toothsoap. However, the raw honey makes me hesitant. What did you brush your daughter’s teeth with when you wre trying to heal the decay? She also uses tooth soap, too. What size is your vial with dropper? I was looking at some on Amazon that are 2 oz. Is that about the size needed for this recipe? Thanks! What is Dr. Bronner’s Baby Mild? I’ve tried two batches and my toothsoap doesn’t get frothy at all. Any ideas? Mine isn’t super frothy but my teeth always feel clean after I brush. 🙂 If you prefer frothy you might try adding a little more Dr. Bronner’s. Made the toothsoap and scrub today for the first time. Love them both! and works well for my 20 month old daughter too. I only had about 1 tsp of honey, but it still turned out great! Hmm, what do you do for babies who aren’t yet able to spit? Or have you only dabbled with this since your kids got big enough to do so? We’ve ordered Cure Tooth Decay, have decided to cut sugar entirely, and are contemplating alternatives to glycerine toothpastes to help with our son’s early tooth decay, but he’s just shy of 2 and still swallows. Any ideas? I happen to have a bottle of Ora Wellness essential oil based tooth cleaner that was given to me. The flavor is really strong and my son doesn’t like it, but one drop cleans his whole mouth and I don’t worry about him swallowing it. Hope that helps! Hmm okay awesome! Also, as to Dr. Bronner’s alternatives, I was thinking you could use something like the Kiss My Face olive oil bar soap, grate it, pour over hot water (or maybe simmer) to desired concentration, and use that instead. It’s glycerine-free and not expensive. A lot of glycerine-free soaps use sodium hydroxide in saponification – though from what I understand, it is completely transformed by the process and shouldn’t pose problems (http://personalcaretruth.com/2011/04/a-closer-look-at-sodium-hydroxide/). Certainly for grown-ups it would be okay. I’m just a little nervous about using it for little people. Thoughts? After doing a lot of reading on this I’ve decided to just keep using Dr. Bronner’s. The amount of glycerin it includes is far less than what comes in commercial toothpastes and from what I can figure out even commercial tooth soap brands have a little. With that said we don’t use this recipe every day – I now alternate with a homemade tooth powder and a non-toxic whitening treatment. Will be sharing both of these recipes in an upcoming ebook on making healthy beauty products at home! I tried making this last night and it seems to work great! I’m all for making your own beauty products. I do have a few questions though. First of all, what is the purpose of the oils? Will the oils stay on my teeth or rinse off? Second, is a sweetener necessary? Third, is it really safe to use essential oils in your mouth? My peppermint bottle says not to get in contact with skin or mucus membranes. Though I do use it on my head for headaches occasionally. Would this still work if I left out the honey? I’m a little concerned about brushing my teeth with what is essentially sugar. Yes, you can! There is also a recipe for tooth powder in my DIY Beauty book that uses ground stevia leaves. I don’t use concentrated stevia but I’m comfortable with using the leaves. We LOVE the tooth powder! Is there a brand you like, or place you get yours? My natural foods store only has ‘pure stevia extract’ for $15/bottle. (I left this question on the FB page too, sorry to bug!) Thank you! I want to try this but does it REALLY work?? I mean, I know dentists don’t know everything and I don’t think fluoride is all that good for you and I HATE SLS, but at the same time…using Colgate/Crest/etc is what I’ve been taught to do since I’ve had teeth! It just makes me nervous. Hi Brittany, it really really does! 🙂 I came from the Crest club too, and since switching to homemade tooth soap and tooth powder, my teeth have never felt better. My dentist comments every time my husband and I go in for cleanings about how GREAT our teeth look compared to his other patients, and he’s very pro-fluoride, etc. Give it a try, you won’t regret it! Does it have to be the Baby Mild Dr. Bronner’s soap? I’d like to get the citrus or rose one to use as shampoo, in addition to their citrus conditioner, but I want to only buy one soap. So, if it MUST be the Baby Mild, I’ll just buy that. I used Dr. Bronner’s peppermint because I couldn’t find the baby mild and it worked just fine. I love this recipe and will continue to experiment with tweaking it. Would like to try the orange oil next! What about babies, as they are getting their first teeth? I’ve read that we should brush them. But I’d like to know what type of brush is best to use, and at what age they need tooth soap. I figure the tooth soap is not necessary for a long while, but just wondering what you have done, Heather. I see there are alot of silicone baby toothrushes, or one that is made of vegetable fibers or something (but I don’t know what they are and suppose it could be corn or something I’d rather him not put in his mouth daily). You can even use a wash rag to wipe off their baby teeth. We didn’t start using a tooth brush on my little one’s mouth until she was 2 and has perfect, strong, healthy teeth! Hello. I really have been wanting to try making a remineralizing toothpaste after my dentist said I had decay in 5 teeth ugh! I tried this one, but my husband can’t stand the smell and the aftertaste is gagging 🙁 I guess I must be the only one. Even after rinsing I can’t get the taste out of my mouth and feel I need to eat something. Now that defeats the purpose!! I think it must be the Dr. Bronner’s. Can’t believe that 1 Tablespoon can have that much of an effect. My 2 year old gagged as well and asked for water LOL. I think that I can possibly use it, just because it is good for me, but do I really need the soap or is there just for “suds”? I definitely will do something different next time which may include taking it our completely. I did make a bentonite clay toothpast recipe tonight that tastes much better and provides the remineralzing benefits of clay. I will probably switch out between the 2. Personally, I think the Dr. Bronner’s is necessary in this formula. Some people do use just essential oils, though! Lora – the first time I used tooth soap I gagged as well. Stuck with it and in a couple of days I adjusted. In fact, regular toothpaste now makes me gag – too sweet! My then 12 year old daughter also didn’t like it at first, now three years later it’s all she uses. I don’t know if it will change for you, but hope it does! So I started brushing my teeth with coconut oil and peppermint oil. I was thinking about trying your recipe without the Dr. Bronners because it’s just a pain to get my hands on. Is the coconut oil/essential oil (and honey and olive oil too) enough to do the trick in making your teeth clean and happy? P.S. Going to look up your ebook now! Some find that coconut oil works well, while others report that they do not feel super clean after rinsing and/or that it clogs their sink. 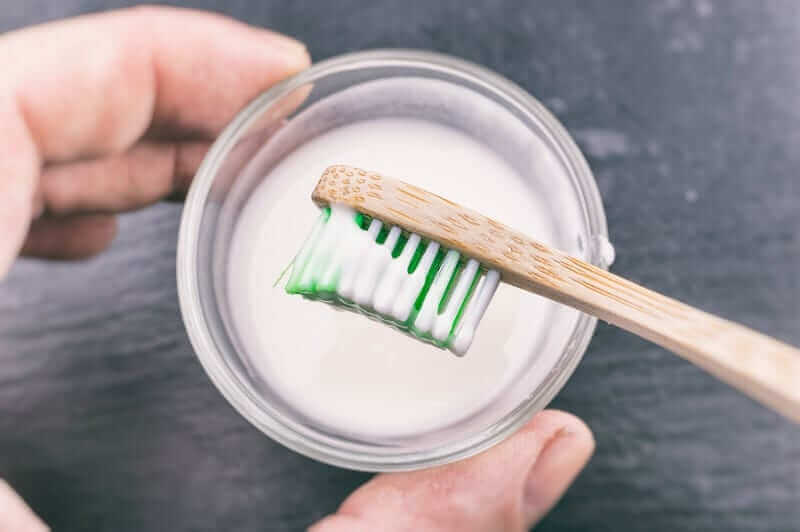 Oil pulling is another option for tooth care using coconut oil – I’ve found it to be very effective! Hmm, ok. I read something about oil pulling years ago. That was the beginning of my “crunchy” days, so I don’t think I was ready for it just yet. But yeah, my teeth feel super clean the last couple of days since I started this, just wondering if it was enough to keep the sugar bugs at bay. I’m 14 cavities down the pike of course, so now I’m just gonna try to do what I can to never go down that road again. Thanks Heather! Mucous membranes, such as the inside of your mouth, absorb much more readily than your skin, and even absorb some things that are not absorbed by other parts of your skin. Products absorbed by your mucous membranes go almost immediately to your bloodstream. For this reason, it’s important not to put anything into your mouth that you don’t feel comfortable ingesting internally. Hi Heather! I just made this, and have two young boys (3 and 1), and was just going to double check to make sure this is safe for those who aren’t able to really spit well after brushing. Thanks for any help! I made my third batch of this today. It’s a great recipe! The first time I made it I did not add the honey or the essential oil. I used Dr. Bronner’s peppermint soap which I found in a trial size at Target (perfect!) My daughter actually prefers that version. The second batch I made I added the honey and orange flavor essential oil. I like that flavor a lot though I will note it stays liquid – it doesn’t solidify like the other version. I make this in a glass pyrex measuring cup so that I can just pour it into the squeeze bottle when done. You mentioned way up in the comments that you reversed your daughter’s tooth decay. Any particular tips for starting the process, other than buying the book you used? My son has SPD and I haven’t even tried going to the dentist yet- assuming it wouldn’t go well. 🙂 And I hate toothpaste. Can’t wait to make your recipe! I’m really interested in getting natural with my toothpaste but I cannot afford the natural retail stuff & my own clay toothpastes were HORRIBLE! No recipe came out edible enough for me to keep up with!! So I’m interested in the toothsoap ideas. I’m not a big fan of minty flavors though & I saw a Dr. Bronners Hemp Castile Citric oils. But it has hemp & jojoba oils. Do you thing these are ok for toothsoap? Hi there! I love your blog! I have used this toothpaste recipe & our family likes it. I have a question: How do you feel about betonite clay or DE in toothpaste? I have come accross a few blogs of like-minded mamas and they have added one of those 2 clays. Thoughts? Is the toothsoap safe to use on babies/toddlers? I use it with my kids. My 2yo will eat the entire batch if I am not careful! …could it be mineral deficiancy?!?! lol! Everything is safe for children-bear in mind the EO’s & honey. I put lemon EO in the kids toothpaste. They love it. Do you think using honey in the tooth soap is ok? Like leaving it on all night? Thanks! this recipe looks good but i’m surprised you didn’t mention any of the bentonite clay or diatomaceous earth tooth paste recipes. Earthpaste is in my opinion the best commercial brand there is. It does have xylitol, so some might not think it’s safe. I make my own version of earthpaste at home just to be cheap. All you really need is food grade bentonite clay and some water. flavorings are nice, but not mandatory. Kids might not like the plain stuff but I’m fine with it. What is… Dr. Bronner’s Baby Mild … ? is it a baby oil or something.. ? any replacement for this ingredient.. ? It is unscented castile soap. You can usually find it in health food stores or on Amazon. I wanted to love this so bad. I really did. I planned on making it for some Christmas presents too. The soapy taste and lasting aftertaste is too much 🙁 my hubby agreed. If there are any suggestions to help I’d love to hear them. In the mean time I will keep trying it to see if I can get used to it. I have a question. I just purchased tooth soap peppermint shreds from Amazon.com and I want to know, does tooth soap shreds help regrow tooth enamel? I have a question. Does tooth soap peppermint shreds regrow tooth enamel? Simply using Dr. Bronner’s with peppermint essential oils will work great, especially for backpacking. Use one soap for clean anything and everything and have essential oil to flavor your hot water. However, I really hope that you don’t actually believe that Flouride can cause Down Syndrome. There is no way that Flouride can cause an extra chromosome to appear in a fetus. Please, do some research on Down Syndrome. Thanks so much for your comment, Shelby. This is a post I wrote quite a few years ago, and honestly if I’d written it today I wouldn’t have included Down Syndrome in the article. However, early research did suggest a possible link, and though subsequent research was inconclusive that may or may not be due to methodological issues. A thoughtful analysis of the research can be found here. Hello, I used to recipe to make tooth soap yesterday, and so fast it’s great, but I read about remineralization of the teeth and realized how much food is processed and everything had sugar and some form of grain.. I’m hypoglycemic so my question is what can I eat ? I’m not creative in the kitchen but I like trying recipes … Can you help ? I’m unable to find Dr. Bronner’s powder here in my country. can u please help me with any alternative? What function does Dr. Bronners soap serve in this recipe? How is the flavour of the tooth soap? I use a mixture of baking soda and coconut oil and it tastes awful. 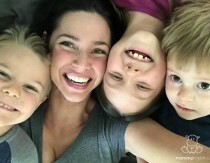 thank you so much for sharing your story and bringing hope to so many other moms. I have a 18 month old daughter who is having decay on her four front teeth. one has actually chipped away at the corner. she also appears to have a lip tie… did you ever get your daughters lip tie corrected? I am reading the book cure tooth decay but I’m having a hard time getting my daughter to follow the diet. she loves yogurt and meats buy she won’t always eat her veggies and wants fruits and cereal. do you have any advice on meal planning or how to make it more appealing? 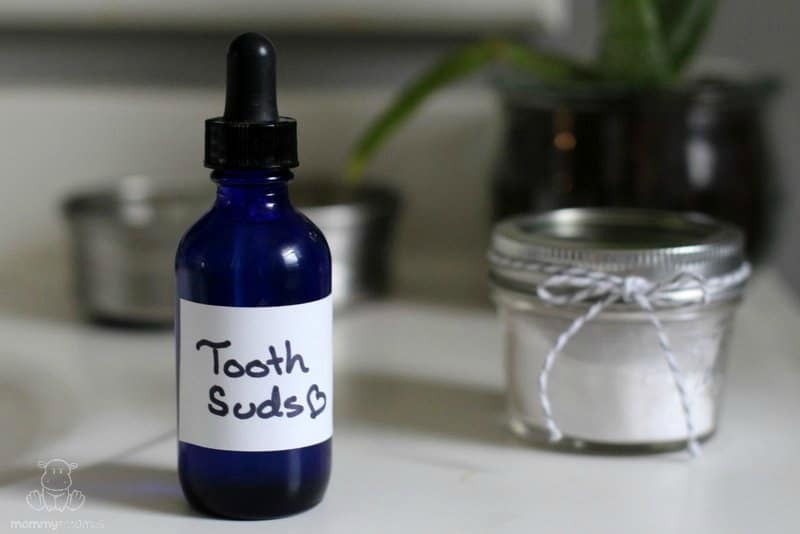 Next Post Homemade Toothpaste – A Natural, Easy Recipe That Works!